The winterless Wasatch has made for a very different existence for me. Usually, I can get so much done right in my own backyard. This year I have had to travel. I have been all over the show. 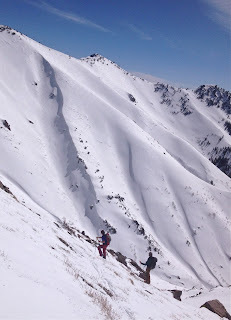 Finally, timing and a relatively decent snowpack came together while I was home at Snowbasin, Utah. Needless to say, I was thankful. Not so needless to say was that it was a pair of days that makes the all time list. All sorts of factors lingered throughout the day, but it seemed that at every opportunity things went our way. 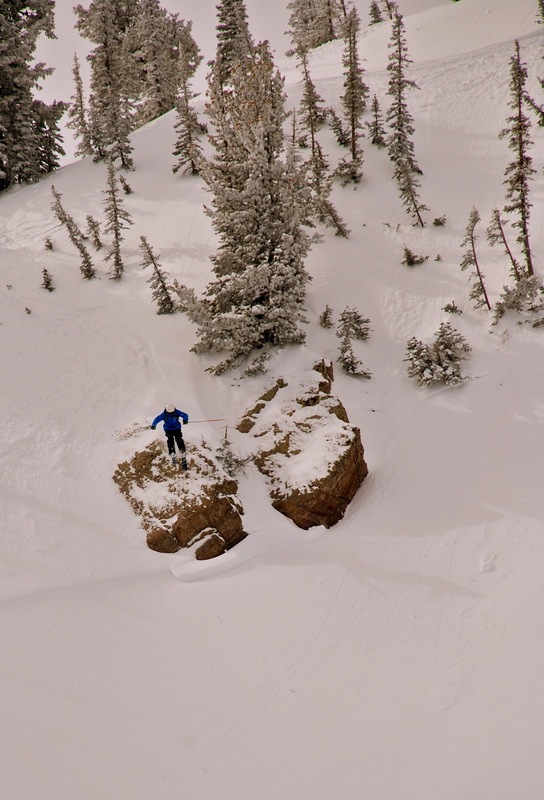 ^Ben Geiger was able to take care of some business from the gondola. Meanwhile, Tony Gill and I surveyed the plentiful powder turns. 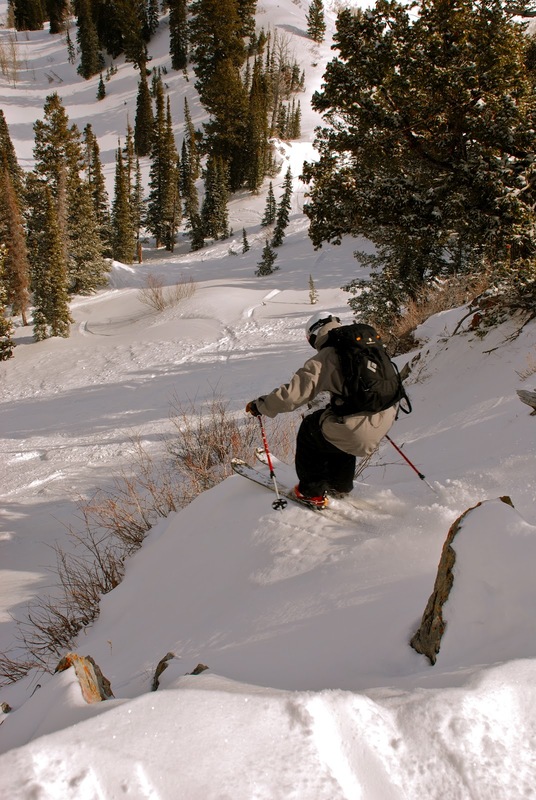 The gondolas of Snowbasin are a blessing for a variety of reasons. ^Windslabs were one factor that was on the top of our list. Thankfully, we found that concern to not be as dyer as we thought it could possibly be. Throughout the day we stepped up our tests and slopes. 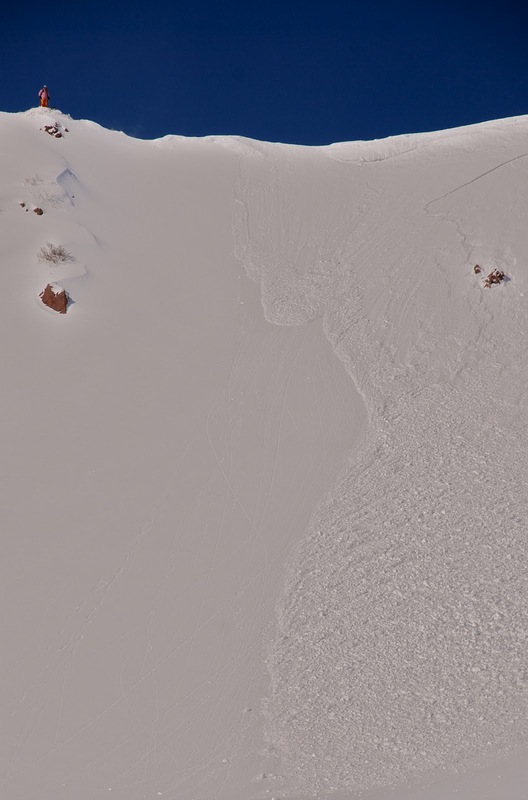 ^This guy put in a nice slope test for us on this northeast slope. It held up. I was posted up waiting for light on Tony and Ben's lines when this stranger took this huck. It was good to see everything hold up well for him. It is not a decision maker, but it is a bit more comforting. 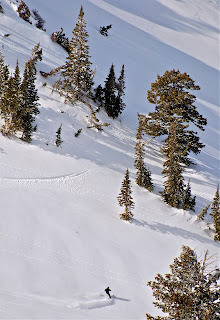 ^Beautiful telemark turn from Tony Gill above Needles Lodge at the top of Snowbasin. ^Tony hucking into one of our favorite pow stashes in the middle of Snowbasin. The entrance is a bit sketchy so it gets left alone rather often. Good news for us. Sweet line for Tony. ^So does Wes Knopfel in this photo when we started to ramp things up a bit. We ramped up the slopes we were pushing throughout the two days. Wes came out for day two, and took part in an epic morning. In this photo he is on the exit of his line that was so good looking. Things worked out so well these two days that I really can't show all too much. 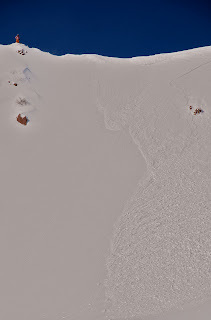 The footage and photos will all be a part of my Telemark Skier Magazine projects, so I can't blow out the scenes. ^...and a little more. I was fortunate to have a good crew to operate in dangerous terrain with, and everything went off without a hitch. Tony Gill, Ben Geiger, Wes Knopfel and I were blessed with some good days and some great conditions in some godly terrain. I was running cameras for the whole two day shoot, but I was just as stoked as everyone else in the group. 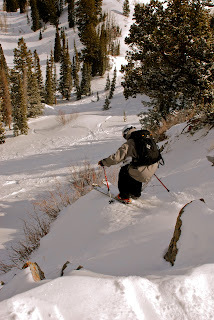 I skied some good lines myself and we were finally getting some good work done in the Wasatch. It felt like it was supposed to. At the noon hour of day two the sun did it's work on the area. It started to get too hot for safe backcountry travel, and so we were out of there. Even though it went well for us for just barely two days, it was indeed a really good two days of safe backcountry crushing with some good ski tour partners. I am thankful for them, all of them. Norway. What can I say?